The best choice for welding purpose and workshop use, our Electromagnetic Lifters and Positions are manufactured in sync with set industrial norms. 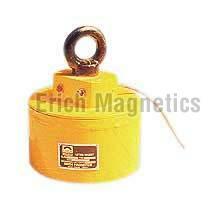 The company is a trusted Manufacturer, Supplier and Exporter of Electromagnetic Lifters and Positions from Delhi. Our Electromagnetic Lifters and Positions are available with and without rectifier. Strict quality-tests ensure that only defect-free products reach the buyers. We hold the expertise of delivering bulk orders of the Lifters and Positions within the allocated time. Available with or without rectifier.